My Favourite Holiday Colour - "Gilver"
Soooo many good outfits to wear over the next few days - I have shopped so much lately and gotten so many cute outfits that I just want to wear EVERYTHING!!! My daughter Avah and I went to Toronto for a day of shopping last week and I got this Joie top from Nordstrom which is in my favourite colour - GILVER - a mix of silver and gold. 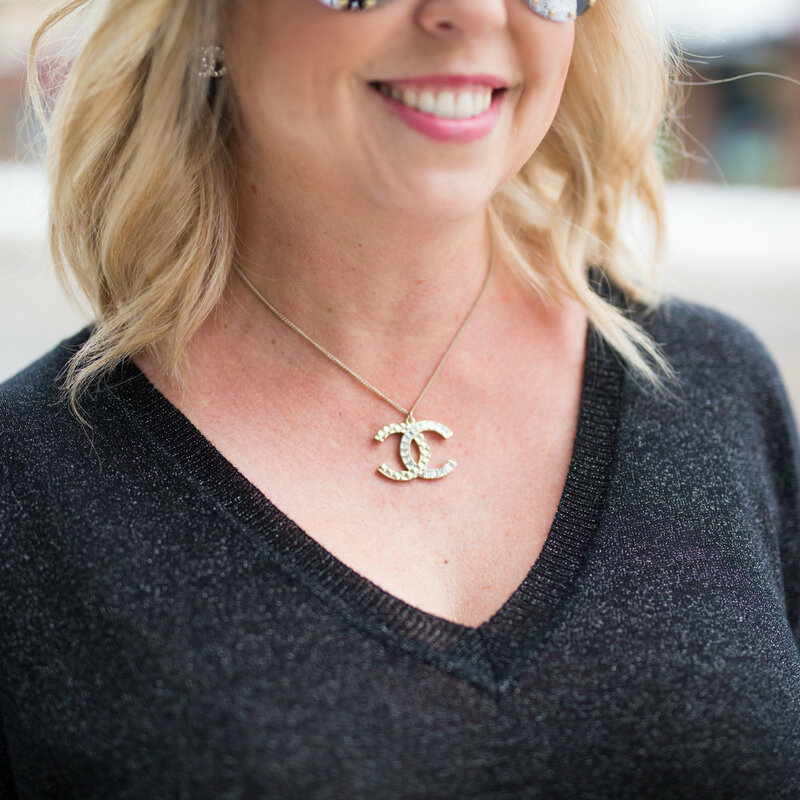 I wore this outfit to dinner on Thursday night with the Chanel necklace that I also picked up in Toronto and is shades of Gilver as well. It was also my first night out in my Valentino Rock Stud booties that I ordered at the Black Friday sales. I am going to get so much wear out of this outfit all winter long. Once the snow is gone I will switch the booties for heels and I could dress this down with skinny jeans instead of leather pants. The Louis Vuitton sunglasses are my favourite part. I saw my favourite blogger/instagrammer wearing them and I HAD TO HAVE THEM and they are fabulous!!! I wish all of you a very Merry Christmas!!! Stay tuned for my New Years Eve blog and what I will be wearing this year. Love to everyone….